First look at Spiders Games' upcoming sci-fi RPG. Focus Home Interactive has released the first trailer for The Technomancer, its upcoming, Mars-set sci-fi RPG from Bound By Flame and Mars War Log developer Spiders Games. The trailer shows hero Zachariah attempt to communicate with Earth as he is chased by Mars’ illusive secret police, tasked with hunting down the rogue Technomancer. Players will begin their journey with Zachariah long after human colonization of Mars. His quests will yield different results depending on how you choose to solve them. You’ll learn more about the world by interacting with your companions, and can level them up as you build friendships with them. The game offers three combat styles, with “many ways” to improve both melee combat and your Technomancer lightning abilities. 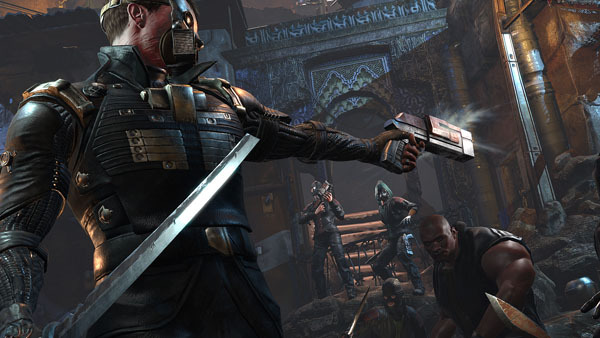 The Technomancer is coming to PlayStation 4, Xbox One, and PC in 2016.